The most widely known characteristic of chili pepper fruits is their capacity to produce capsaicinoids, which are responsible for the pungent sensation. The capsaicinoids have several uses in different areas, such as the pharmaceutical, cosmetic and agronomic industries, among others. They are synthesized by the condensation of vanillylamine (derived from phenylalanine) with a branched-chain fatty acid (from valine or leucine precursors), and they generally accumulate in the placental tissue of the chili pepper fruits. The pungency grade depends on the genotype of the plant but is also affected by external stimuli. In recent years, new structural and regulatory genes have been hypothesized to participate in the capsaicinoid biosynthetic pathway. Moreover, the role of some of these genes has been investigated. Substantial progress has been made in discerning the molecular biology of this pathway; however, many questions remain unsolved. We previously reviewed some aspects of the biochemistry and molecular biology of capsaicinoid biosynthesis (Aza-González et al. Plant Cell Rep 30:695–706. 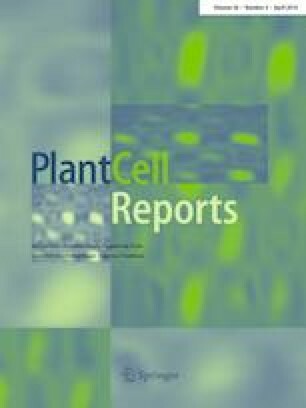 Aza-González et al., Plant Cell Rep 30:695–706, 2011), and in this review, we describe advances made by different researchers since our previous review, including the contribution of omics to the knowledge of this pathway. This work was supported by a grant from the National Council for Science and Technology [Consejo Nacional de Ciencia y Tecnología (CONACYT)], Mexico, project 1570. ML-AR: collected information and prepared the manuscript. N-OA: planned, organized and edited the manuscript.